We are a leading Service Provider of pamphlet printing, special pharma production job printing and promotional tag printing from Ahmedabad, India. 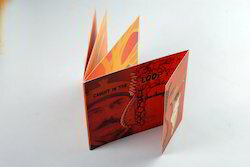 We are engaged in providing our client services for Pamphlet Printing. Our offered services are basically applicable for their lovely appearance, soothing colors, elegant design and good quality. These services are undertaken by our trained professionals in total compliance with the set industry standards. Widely demanded in the market, these services can be purchased by our respected clients at market leading prices from us. 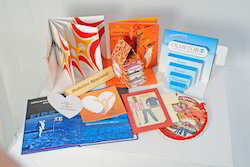 Special Pharma Production Job Printing offered provides support as quality solution for meeting the demands of visually appealing marketing support to a product as well as for promoting different pharmaceutical brands. Making use of best available printing machine support, we can offer printing support for tablets & capsule boxes, injection boxes, syrup boxes and others. Further, the well integrated designs also provide for attractive presentation to the product and make its more noticeable. The expertise of our team lies in offering complete support to clients at conceptualizing, designing and printing stages so as to assure of end results as per their requirements. 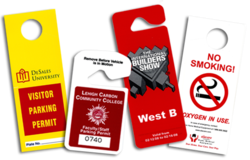 Our organization is involved in providing Promotional Tag Printing to our esteemed clients. These services are executed by our expert professionals, who make optimum utilization of the available resources. We have engineers who have detailed technical knowledge and with the use of advance technologies renders these services in adherence with the international quality standards. Our professionals interact with the clients and as per their requirements, offer these services which are highly reliable. Looking for Tag Printing Services ?